It’s no secret that craft beer is taking over. According to The Brewers Association, the number of craft breweries more than doubled between 2008 and 2014. Beer drinkers are becoming increasingly interested in unique flavors and profiles. Commercial and home brewers alike benefit from delivering distinctive but consistent brews. How do brewers ensure that their signature beer comes out perfect every time? One secret to success is knowing how to measure beer pH. The first step in the brewing process is to mix a malted, milled grain like barley, wheat or rye with potable heated water. When the malt is mixed with water at the correct temperature, enzymes in the malt convert starches into sugars. Once this process—referred to as mashing—is complete, the malt is strained out of the mixture, leaving a sugary liquid called wort. Next, the wort is boiled with hops and other ingredients to concentrate and sterilize the mixture while adding flavor. When boiling is complete, the wort is cooled to 10-20°C and yeast is added. Yeast is a microorganism that consumes oxygen and sugars in the wort and produces alcohol and carbon dioxide. This process, called fermentation, may continue for three days to three weeks depending on the type of beer. As fermentation comes to an end, the beer is cooled further, and yeast and proteins begin to settle out. Some remaining yeast continues to ferment, contributing additional carbon dioxide, which gives the beer its carbonation and characteristic head. Finally, the beer is filtered to remove yeast and other particulates. Parameters such as alcohol content, bitterness, and haze are often measured before packaging and sealing the final product. Successful brewing is dependent on several key biochemical processes, which consume or produce the compounds that impact beer’s flavor, profile, and alcohol content. 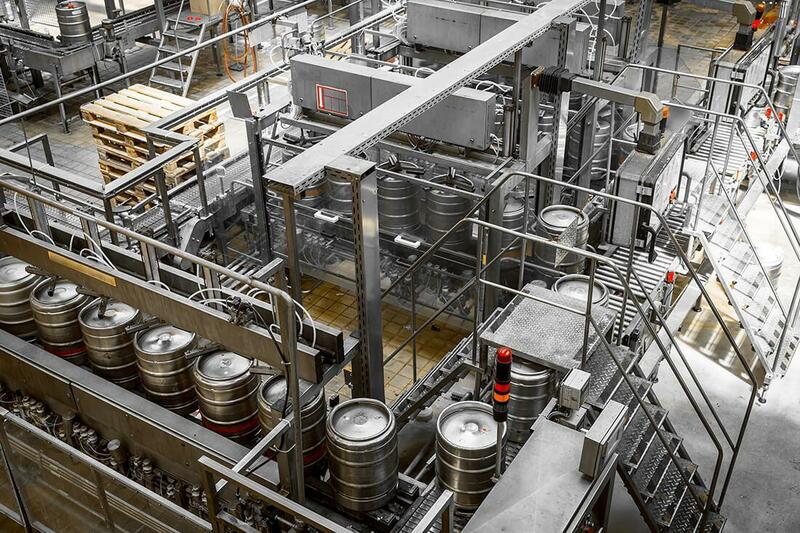 Careful monitoring of these processes is vital to ensure a consistent, quality beer with each brew. Experienced brewers often use beer pH measurements as an indication of the biochemical processes occurring in a given batch. For example, maintaining an appropriate pH level during mashing can be critical to enzyme activity, which impacts production of fermentable sugars. Brewers measure and adjust the pH of their water to the optimal range for enzymatic activity (usually about 5.2-5.5), thereby ensuring that the proper amount of sugars will be produced. During fermentation, beer pH measurements can be an early indicator of complications. For example, if a batch becomes infected with undesirable acid producing bacteria, the pH of the mixture will drop below the normal range, signaling that appropriate action should be taken. An increase in beer pH during fermentation can be an indicator of autolysis, the process by which yeast cells die and break apart. Autolysis may be a sign that a new strain of yeast is needed.